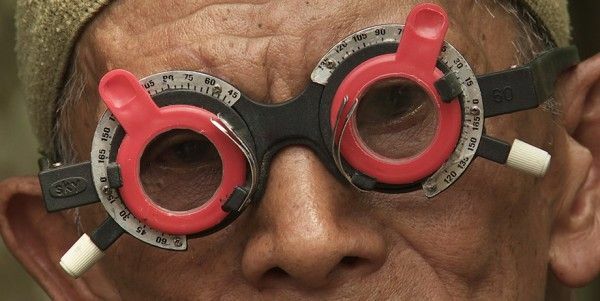 Director Joshua Oppenheimer’s documentary The Act of Killing was not only one of the best films of last year, but also one of the most harrowing, disturbing, and impactful documentaries ever made. So it comes as great news that Oppenheimer’s companion piece, The Look of Silence, has been acquired by Drafthouse Films and Participant Media and slated for a theatrical release in the summer of 2015. While The Act of Killing explored the Indonesian genocide from the point of view of the perpetrators, The Look of Silence is compiled of footage Oppenheimer shot during the same period of time and tells the story from the victim’s point of view, specifically following one man as he confronts his brother’s killers. The Look of Silence will have its world premiere this week at the Venice Film Festival and is also slated to screen as part of the Toronto International Film Festival. You can expect a full review of the film from our own Matt Goldberg around that time. Read the full press release concerning the acquisition of The Look of Silence after the jump. The film is again executive produced by Errol Morris and Werner Herzog. Los Angeles, CA & Austin, TX – August 27, 2014 – Drafthouse Films and Participant Media announced today they have jointly acquired all U.S. rights to Oscar®-nominated director Joshua Oppenheimer’s The Look of Silence, executive produced by Oscar-winner Errol Morris (The Fog of War), Oscar-nominee Werner Herzog (Encounters at the End of the World), and Emmy®-nominee André Singer (“Little Dieter Needs to Fly”), and produced by Oscar-nominee Signe Byrge Sørensen. The Look of Silence is the companion piece to Oppenheimer’s 2014 Academy Award®-nominated documentary The Act of Killing, and explores the Indonesian genocide and its terrifying legacy from the victim’s point of view, following one man on his search for the truth as he confronts his brother’s killers. The Look of Silence will world premiere at the 2014 Venice Film Festival, followed by a Canadian premiere at the 2014 Toronto International Film Festival, and a New York premiere at the New York Film Festival. The Look of Silence will be released theatrically in the U.S. in the summer of 2015. Through Joshua Oppenheimer’s work filming perpetrators of the Indonesian genocide, a family of survivors discovers how their son was murdered – and the identity of the men who killed him. The perpetrators live just down the road, and have been in power ever since the massacres. The family’s youngest son, an optometrist, seeks to bring the past into focus, asking how he can raise his children in a society where survivors are terrorized into silence, and everybody is intimidated into celebrating the murderers as heroes. In search of answers, he decides to confront each of his brother’s killers. The killers still hold power, so each encounter is dangerous. The former executioners respond with fear, anger, and naked threats but he manages these encounters with dignity; asking unflinching questions about how the killers see what they did, how they live side-by-side with their victims, and how they think their victims see them. Through these confrontations, audiences get a sense of what it is like to live for decades encircled by powerful neighbors who are also murderers of their children. The Look of Silence does something virtually without precedent in cinema or in the aftermath of genocide: it documents survivors confronting their relatives’ murderers in the absence of any truth and reconciliation process, while the murderers remain steadfastly in power. The deal was negotiated by Cinephil’s Philippa Kowarsky for Signe Byrge Sorensen and Final Cut For Real, James Emanuel Shapiro for Drafthouse Films, and Jeff Ivers for Participant.